When The Best Class You Never Taught: How Spider Web Discussions Can Turn Students into Learning Leaders arrived on my desk, I was intrigued. The author, Alexis Wiggins, comes from a family of educators. Her father was Grant Wiggins, co-creator of backward lesson design. Grant’s collaborator Jay McTighe (Understanding by Design, etc.) wrote the foreword to this new book. Learning these facts was enough to make me pick up the book, even though I found the title a little disconcerting (I have a long, unpleasant history with arachnids!). As I began reading it, I soon understood the reason for the title and its importance to the teaching and learning concept that Alexis Wiggins advocates. 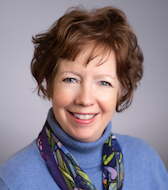 Wiggins has an extensive portfolio as an educator and professional learning leader. She has taught middle and high school English in six different countries. She also taught at a Harkness school during one of her first teaching experiences. Schools that adopt the Harkness method use Socratic seminar discussions as a key part of student learning. What is Spider Web Discussion? Spider Web Discussion is an adaptation of the Socratic seminar in that it puts students squarely in the center of the learning process, with the teacher as a silent observer and recorder of what s/he sees students saying and doing during the discussion. Her method is used when the teacher wants students to collaboratively discuss and make meaning of a particular learning concept – be it a novel or a math procedure. 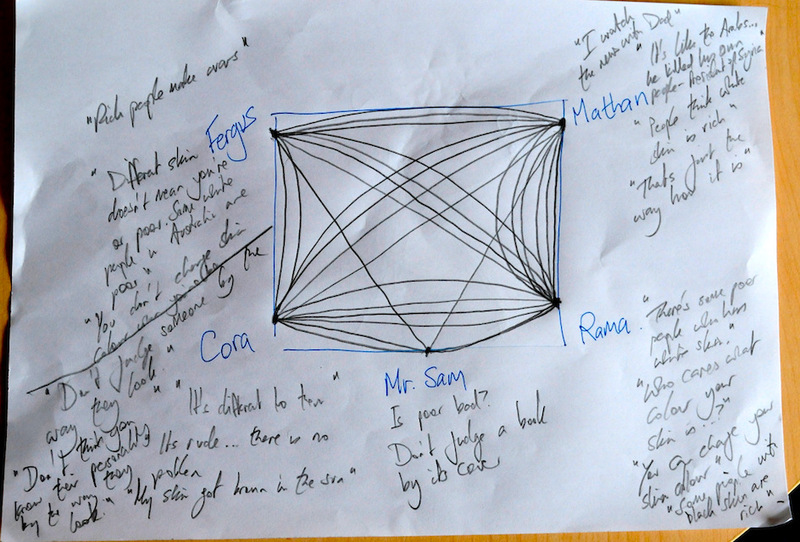 “Spider Web Discussion is a classroom philosophy, not a one-off activity. It’s a culture. It’s about understanding that learning is a complex process that plays out over time, through allowing students to grapple with challenging ideas…. The process of Spider Web Discussion trains students to work together collaboratively in solving problems and to self-assess that process. The result is deep, high-level inquiry led and assessed by the students themselves, whether they are in 2nd grade social studies or high school geometry” (p. 5). Wiggins intentionally used the word spider in naming this process for two reasons. First, she approaches the student discussion as an emerging web. In fact, as she listens and captures key elements of the student dialogue, she charts the discussion process, which produces the spider web diagram. 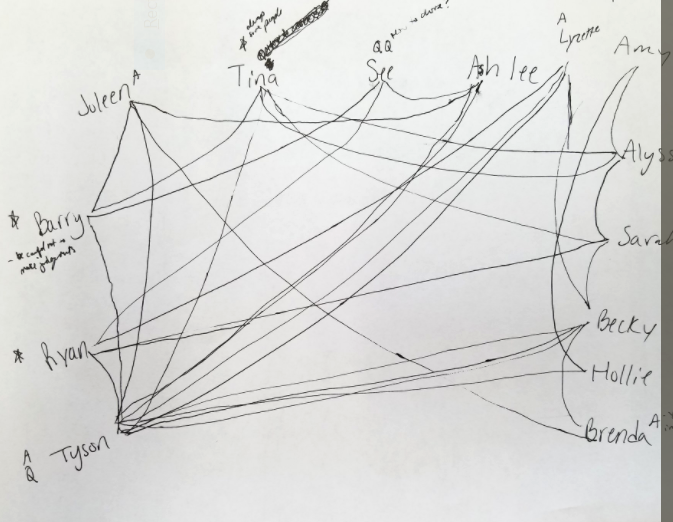 To intentionally stress student accountability for the success of a Spider Web Discussion, Wiggins asked her students to visualize a spider web and then imagine what might happen if one or two of the strands disappeared. Students noted that the entire web falls apart! Synergetic—it’s team oriented, balanced, and group graded (the whole class gets a single grade for each discussion). Practices—it’s ongoing, rehearsed, and debriefed. It’s not a one-time activity but a process, much like writing. Independent—the teacher interferes as little as possible; students run the discussion and self-assess. Exploration—this is the main goal; more than a discussion, it is a discussion-based exploration (of a text, an Essential Question, or a subject-area topic). Benefits of the Spider Web Discussion model (Chapter 7 of the book!). VIDEO: Wiggins and her students model and talk about the Spider Web method. Alexis Wiggins blog Models by Design and her wiki resources site. The ASCD study guide for The Best Class You Never Taught. I was delighted to find that the first link above includes Chapter 7, in which Wiggins captures the benefits of Spider Web Discussions. She discovered both intended and unintended benefits, which she describes in detail. In fact, Wiggins saw that the regular use of Spider Web Discussions actually gave her a deeper understanding and perspective about her students, including their strengths and needed areas of growth. She found that by examining her charts of each discussion, she could find patterns to share with her students, pointing out both what they did well, and what they might work on. Wiggins noted, “I realized that by being silent and not focusing on my own ideas or knowledge during class discussions allowed me to observe more deeply what students themselves really knew, understood, and could do. It’s like being a coach on the sidelines—you can see so clearly how the team is crowding the ball and not spreading out, but it’s difficult to see when you are on the playing field” (p. 136). This principal used the spider web method with a graduate class. Her experience was not unlike those described by teachers across K-12. For example, almost everyone mentions the long wait time on the front-end of the first discussion as participants begin to discover a new way of collaborative learning. Chapter Seven concludes with some important practical considerations, ranging from gauging your relationship with your students—and their relationship to each other—to the frequency of use of Spider Web Discussions. She also addresses whether or not to redirect the conversation, and notes that most often, in time, students self-correct. When they don’t self-correct, she’ll interject a question or comment, or ask them to dip back into the text under discussion. So, if you’re looking for a way to give students in your classroom a greater voice, and spur deeper and more meaningful learning, discussion and collaboration, the use of Spider Web Discussion might be for you. 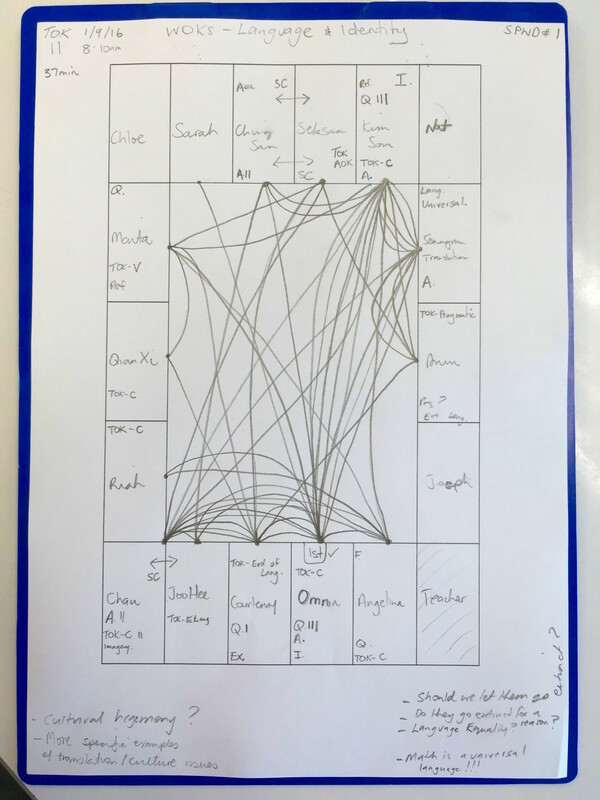 ABOVE: Here’s one more spider web chart – this one made by a teacher at an International School who describes using the Spider Web Discussion with 2nd graders, with good results. 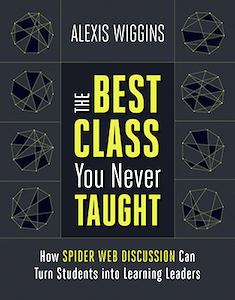 0 Comments on "Spider Web Discussions Help Students Take Ownership of Learning"